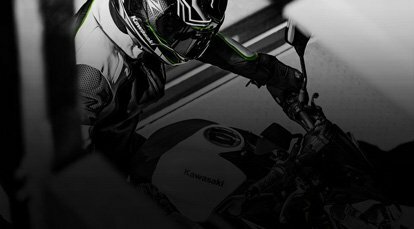 The Ninja H2, Ninja ZX-14R and Ninja ZX-10R – Kawasaki’s top-of-the-line flagship supersport models – all offer high levels of riding excitement. 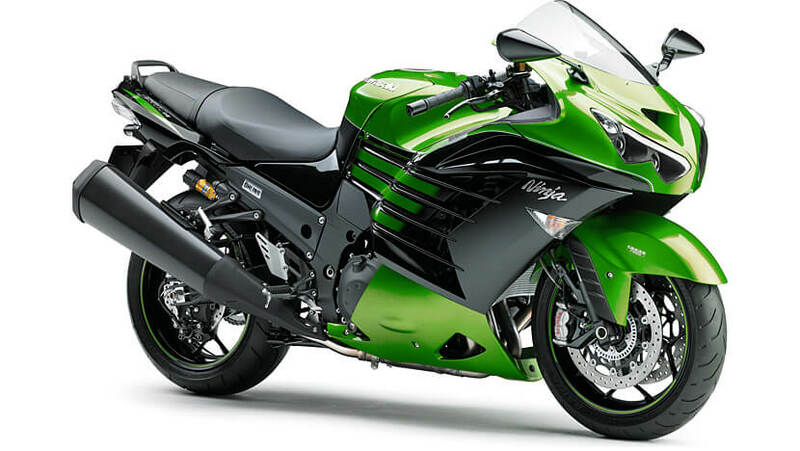 But where the Ninja ZX-14R stands apart is for its great flexibility. 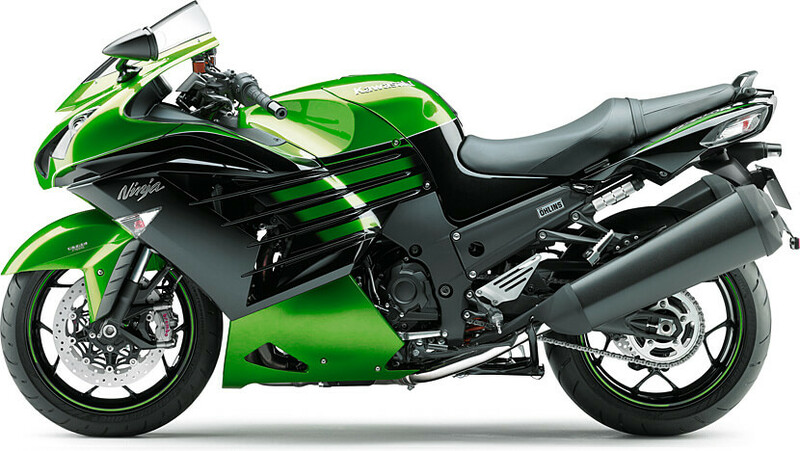 Compared to the very focused concepts of the Ninja H2 andNinja ZX-10R, the Ninja ZX-14R’s engine and chassis tuning both contribute to a package that delivers high performance while being easy to ride. 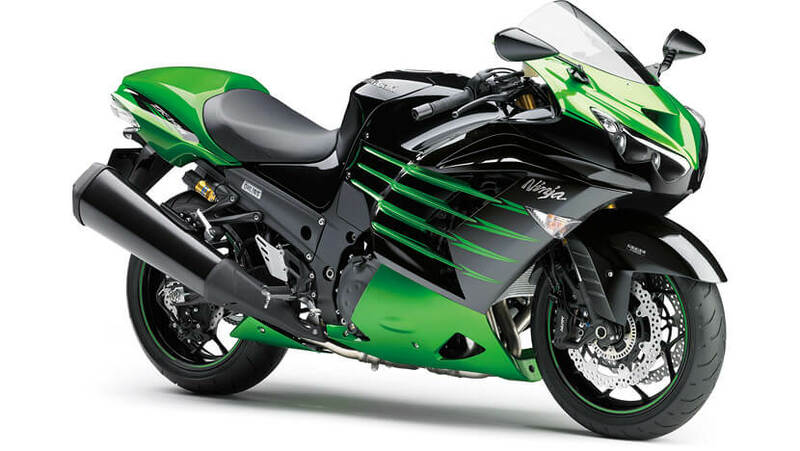 So while it has the power to throw down blistering 1/4-mile times, and the agility to hustle through a series of curves in the hills, the Ninja ZX-14R is also comfortable enough to accommodate long-distance touring, and mild-mannered enough that you wouldn’t think twice about jumping on and riding it down to the corner store.This balance of Extreme Excitement and Everyday Versatility – something it holds in common with other legendary models in its lineage (like the GPz900R and ZZR1100) – combined with a number of new prestige features that elevate both its performance and its presence, is what makes this model almighty, and why it will continue to be called the King of All Sport Bikes. 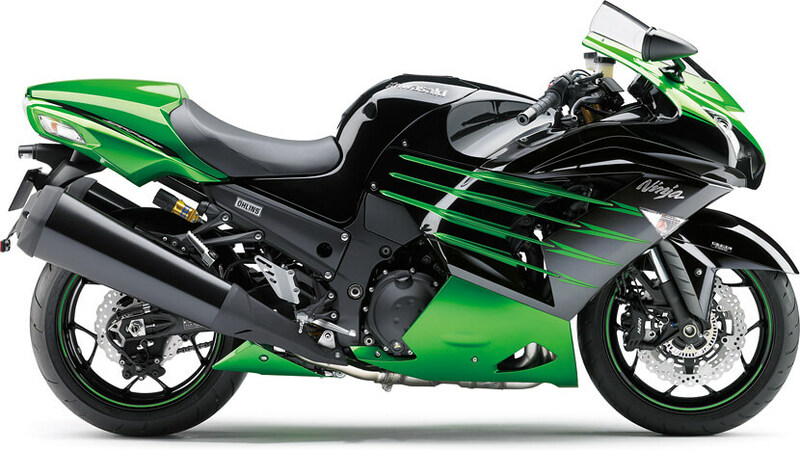 To bring the braking performance of the Ninja ZX-14R to the next level, the same type of brake system as that of the Ninja H2R was implemented. 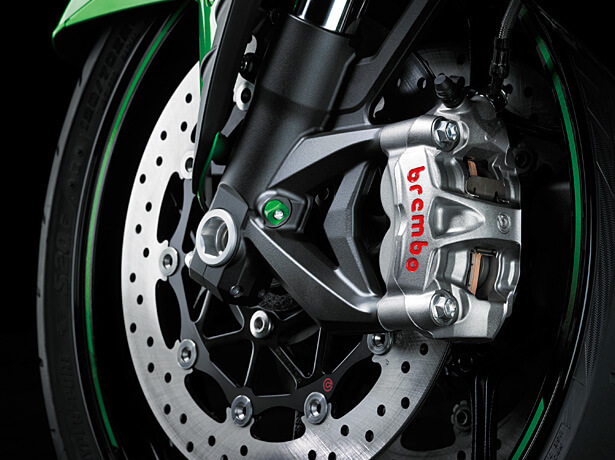 The Brembo system includes the best components available for a mass-production model. 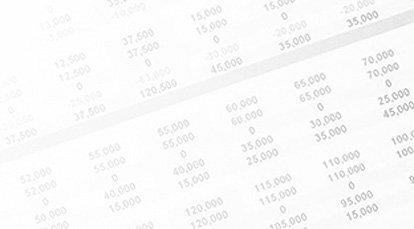 Special tuning at the Brembo factory ensures that all play has been removed from the system, so that when the brakes are called for, they respond immediately. 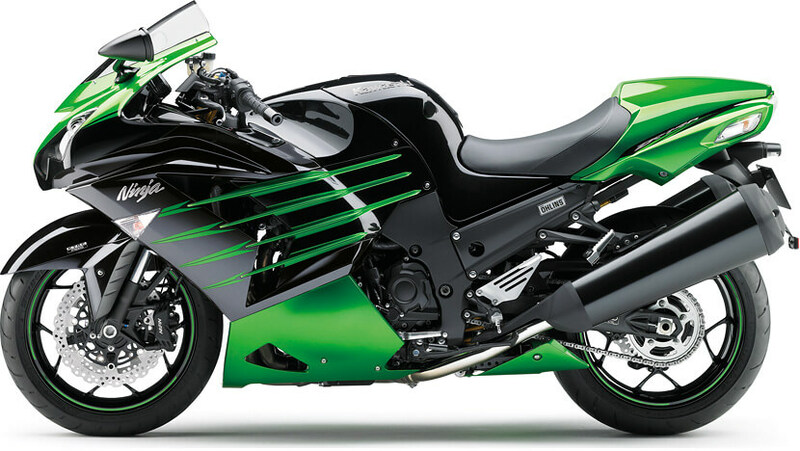 The Ninja ZX-14R exudes an aura of power and assurance found only in the world’s most powerful machines. 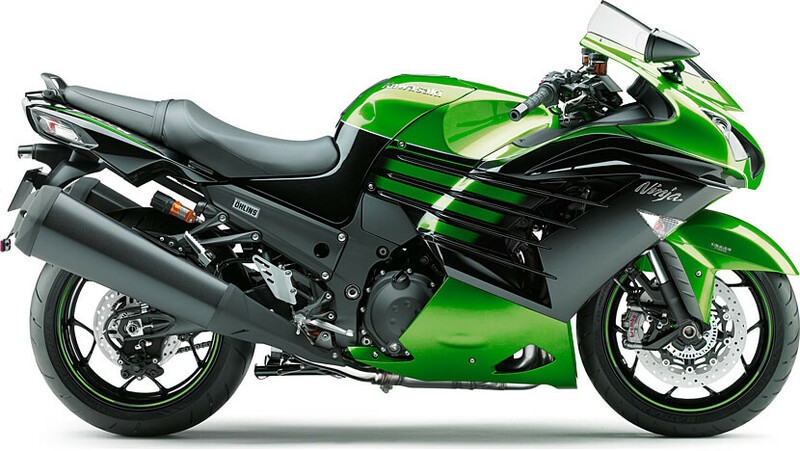 Unlike the recent trend in supersport and super-naked design towards mass-forward designs with minimalist tails, a voluminous tail design and more balanced approach to front-rear impact ensure that Kawasaki’s latest Ninja flagship cuts an imposing figure from any angle. And befitting a flagship model, extra care with fit & finish and attention to detail result in a machine that is equally impressive when viewed from a more intimate proximity. Updates to the instruments. 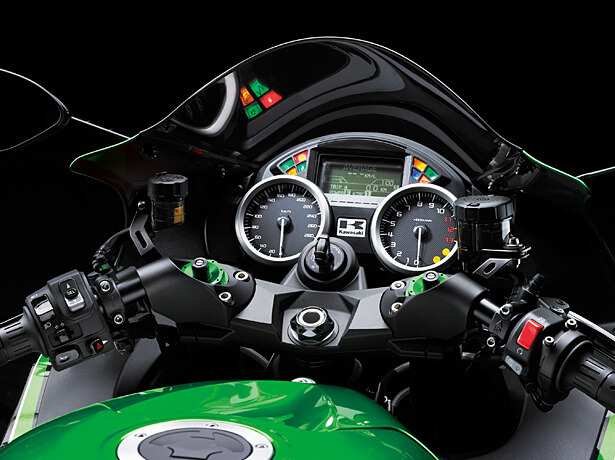 and styling touches added to the cockpit area (especially for European ZX1400J models) give this area an even higher quality appearance. 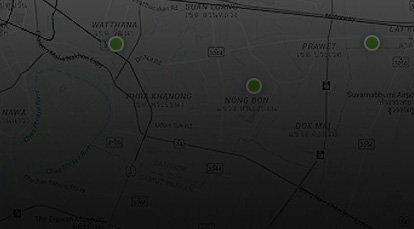 3-Mode KTRC (Kawasaki TRaction Control) Three modes cover a wide range of riding conditions, offering either enhanced sport riding performance or the peace of mind to negotiate slippery surfaces with confidence. 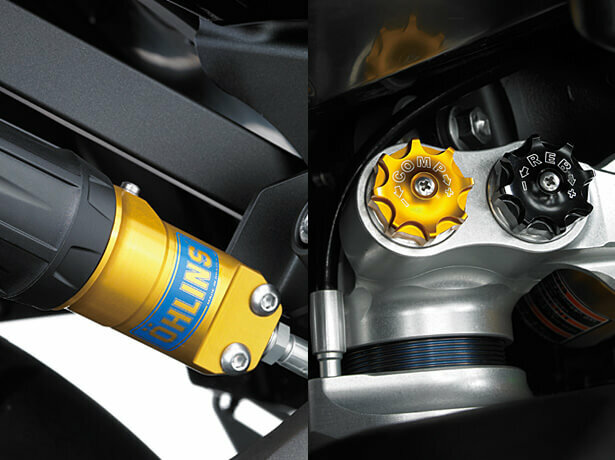 - Compression and rebound damping are each 22-way adjustable. Damping adjuster knobs feature a high-quality machined finish. - Remote preload adjuster makes it easy to adjust settings without tools to suit tandem riding or luggage.